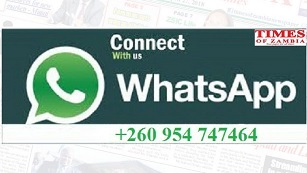 THE National Heritage and Conservation Commission (NHCC) has urged investors to develop camping and lodging facilities at Mwela Rock paintings in Kasama to increase international tourist arrivals. Currently, the tourist destination which is approximately four kilometres from Kasama Central Business District along Mungwi Road attracts an average of 350 local and international tourists per month. Mwela Rocks site attendant Rufus Chiponde said with investments in chalets and camping facilities, tourist arrivals would increase significantly. “The business community is not taking advantage of the opportunities this tourist attraction is offering by partnering with Government to develop lodging infrastructure so that those coming from far places camp within,” Mr Chiponde said. He said this would not only attract tourists but also reduce encroachment of the facility. Mr Chiponde said the site had the capacity to contribute significantly to the revenue base of the country because of its rich history which was incomparable in Central Africa. He also called for extensive marketing of the tourism site. “There is need for extensive marketing of the national monument unlike concentrating on marketing the Victoria Falls which is already known,” Mr Chiponde said. The site was declared a national monument in 1964 but it got recognition as early as 1945. He urged residents to visit the site to appreciate the national monument for them to help in marketing the tourism attraction. 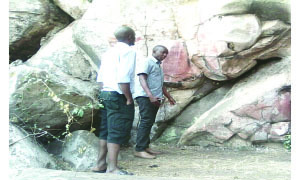 “We need to appreciate local tourism so when people from outside seek for information of the existence of Mwela Rock as well as activities that were done at the site thereby attracting more visitors to the area,” Mr Chiponde said.